Teddye Snell, Tahlequah Daily Press, Okla.
Menopause might begin with the occasional hot flash, night sweats or an errant hair sprouting from the chin. And it might mean misery for many women. 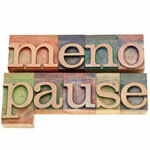 One thing most pre- and menopausal women will agree on is that the symptoms, which increase with frequency and severity over time, can be more than just a passing distraction. According to Dr. Jena Rogers, M.D., of Tahlequah Medical Group, women often suffer symptoms in their 40s. "Perimenopausal symptoms occur during the stage of a woman's reproductive life that begins several years before menopause," said Rogers. "These symptoms may start in a woman's 40s, but can start in her 30s or earlier [if early ovarian failure occurs]. This stage in a woman's life may last from a few months to 10 years." Symptoms include hot flashes, night sweats, breast tenderness, decreased libido, fatigue, irregular periods, vaginal dryness, urine leakage, urinary urgency with incontinence, mood swings and difficulty sleeping. Rogers said treatment options to relieve symptoms varies. "[Options] that enhance one's sense of well being [can include] exercise, smoking cessation, improving sleep habits, reducing alcohol consumption, and getting to a healthy weight and maintaining it," said Rogers. "And for bone health, get enough calcium in your diet." Those who suffer mood swings may find relief in having an antidepressant prescribed, and lubricants are available to remedy vaginal dryness. Another option is hormone replacement therapy. "Last, but not least, HRT is considered for the treatment of hot flashes, night sweats, decreased libido and vaginal dryness," said Rogers. "But with HRT, there comes an increased risk for endometrial cancer, blood clots and breast cancer. All these things should be discussed with your physician to determine the appropriate therapy for you." According to an article by the Mayo Clinic staff, long-term systemic hormone therapy to treat symptoms is no longer routinely recommended, but some data suggest estrogen can decrease the risk of heart disease. Dr. Paul Plowman, OB/GYN at Tahlequah City Hospital, said a woman can be considered as a candidate for HRT when symptoms become moderate to severe. "Various types of hormone replacement are available: pills, patches, gels, intravaginal rings and even pellets which are placed under the skin," said Plowman. "The amount an type of hormone replacement should be tailored by a qualified health care provider to the patient's specific needs." According to Plowman, all medications have side effects, which can be both good and bad, and patients should have a thorough discussion of the risks and benefits of HRT prior to beginning treatment. Some women are reluctant to supplement Mother Nature's natural course of aging with chemicals, and instead rely on natural, homeopathic remedies to alleviate symptoms. Deana Franke, owner of a natural foods store, has found success in a combination of natural alternatives. "What I've ended up doing is combining several different natural alternative to make my own mixture to deal with my symptoms," said Franke. "There are a lot of things that work well, including black cohosh, passion flower and plant-based phytoestrogen. I change combinations every six months or so, and have never had any big problems [with menopausal symptoms] that way." Franke chose the natural route, as she believes it reduces her risks of developing cancer. "My best friend was told outright she got breast cancer because she took HRT for 20 years," said Franke. "Of course, I'm sure the medications have improved since then." To see the complete version of this article, subscribe to the Daily Press e-edition by following the link below.